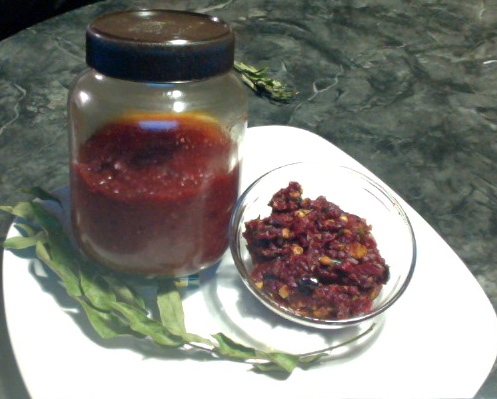 This Cranberry Instant Chutney or Karonda Chutney is very rich in Vitamin C and Anti oxidants. 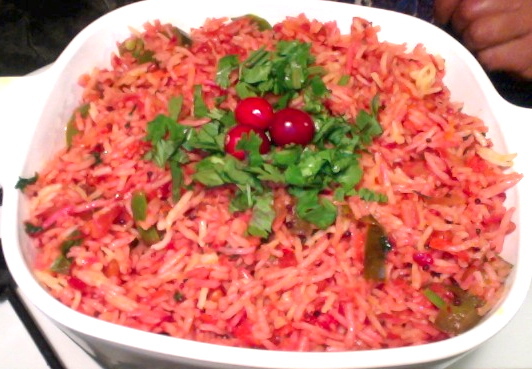 Enjoy this with rice, chapati or dosa. Wash cranberries and pat them dry. Cut green chilies length wise. Keep a sauce pan on medium heat and add oil. When the oil is hot add red chili and fry until they are about to change color. Take them into an other bowl. 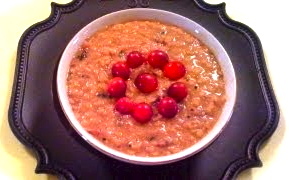 To the same oil add chana dal followed by urad dal, mustard seeds and cumin seeds. Add garlic then hing and curry leaves. Turn off the stove and take the seasoning or tempering into another bowl. Turn on the stove again and add a little bit of oil this time. 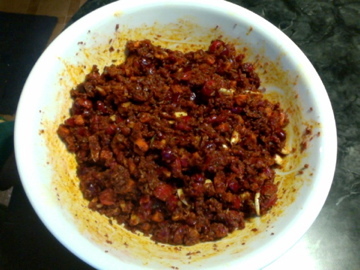 Add the cranberries, garlic and green chili give a mix. Add a little salt to cranberries, cover and cook on low medium for a few minutes until they are soft. When the cranberries are soft, turn off the stove and let them cool down. When they are cold take them to the food processor. 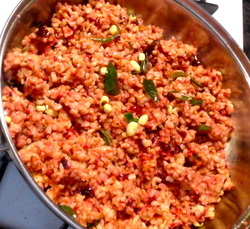 Add red chili, salt and stevia or jaggery to the food processor. Run the food processor to get a fine paste. It can be little chunky if you like. 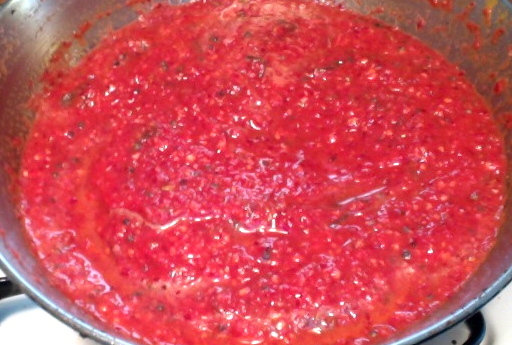 Mix this chutney with tempering. Adjust the salt. You can also use this as a dip for idli or dosa. 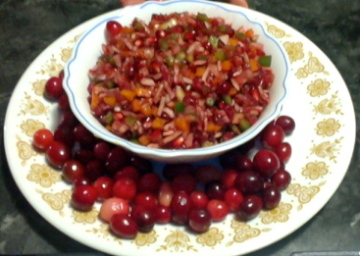 Cranberries are available from September to December. You can buy them in bulk and store in the freezer to use the whole year. 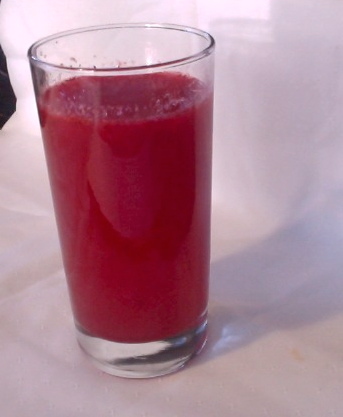 Red chili and green chilies can be decreased or increased in the amount for your taste.